Tinder, the widely known dating app, is currently testing a video feature that has similar characteristics to a Boomerang or a regular old GIF. 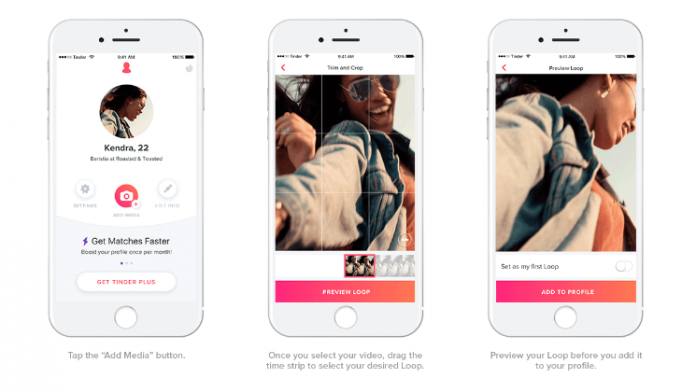 The app is planning to launch a two-second looping video format called Loops for users to be able to share a little bit more of them than just a couple of static pictures. Loops will first be tested for iOS users in Canada and Sweden, and it will progressively move into more countries. This is the first time the dating app gets into video. Moreover, the company expressed its will to add videos to their application due to their belief that a video can add up more to the personality than mere pictures, and because of that fact, they believe people have more chance of being swiped right (meaning liked). Brian Norgard, Chief Product Officer at Tinder stated “With the addition of video, users have a new way to express themselves while also gaining key insights into the lives of potential matches. Whether it’s dancing at a concert, doing cartwheels on the beach, or clinking glasses with friends, Loops makes profiles come alive. 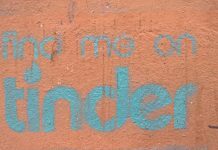 We anticipate Tinder Loops will lead to even more matches and conversations and look forward to seeing how our users creatively adopt the feature,” he added. 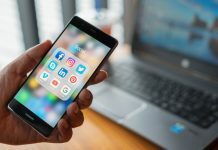 The company also explained forward that videos such as Loops are not as intimidating as posting a “real” video, in which the user can be camera shy and present a different personality due to lack of confidence with an actual speaking video format. Alongside the option of adding Loops, users are now able to upload up to nine photos or Loops, instead of just the poor number of six. Thus, encouraging the people on Tinder to try out Loops seeing as they won’t have to remove a picture in order to add a Loop. “Worried that it’ll be tough to choose between your already perfect photos and adding new Loops? We have you covered: we’re also testing the ability to add nine photos or Loops in your profile instead of six. Go on, show off,” said Tinder in a recently released blog post. This is not the first time Tinder has added a new, important update this year, as recently, their privacy policies have been changed and a new “Ladies first” choice has also been added, meaning women have the right to choose whether they message first or not.